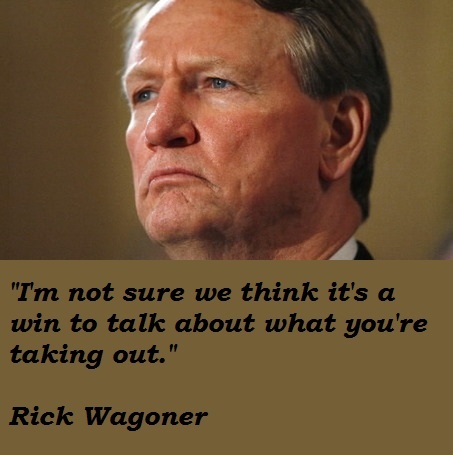 See the gallery for quotes by Rick Wagoner. You can to use those 7 images of quotes as a desktop wallpapers. A lot of other things come along with Chapter 11, which basically end up in a lot of pain. Generally, cars were not built to sit on dealer lots. It encourages the wrong kind of behavior in the whole system. I'm not sure we think it's a win to talk about what you're taking out. Most of the model consolidation we've done is behind us. There will be some fine tuning. The big and the fast beat the small and the fast. If you check out the NBA today, they're big and fast. 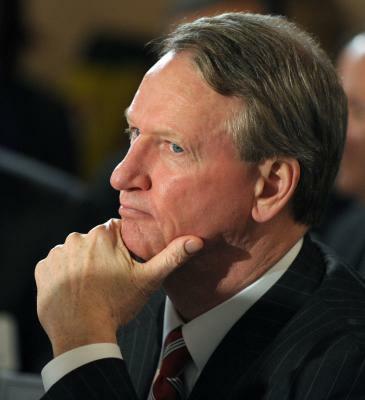 We believe in fair exchange rates and Japan doesn't practice that. 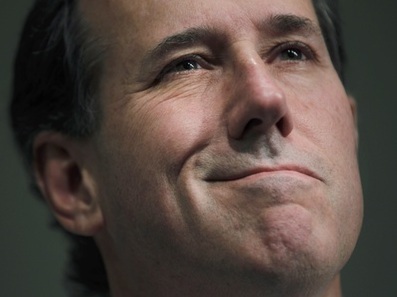 They have massive U.S. dollar reserves, and they use them to intervene regularly. 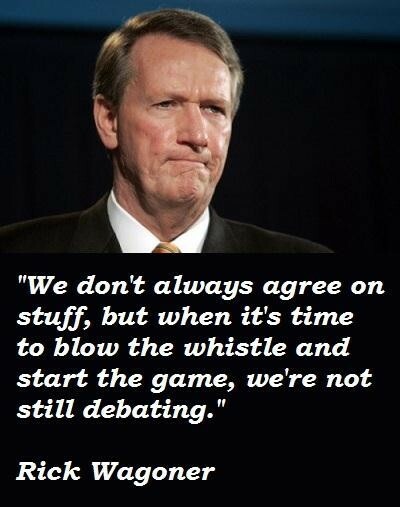 We don't always agree on stuff, but when it's time to blow the whistle and start the game, we're not still debating. 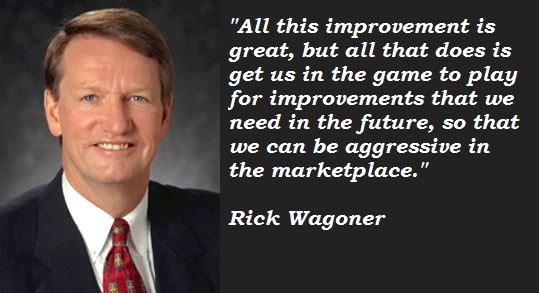 All this improvement is great, but all that does is get us in the game to play for improvements that we need in the future, so that we can be aggressive in the marketplace. 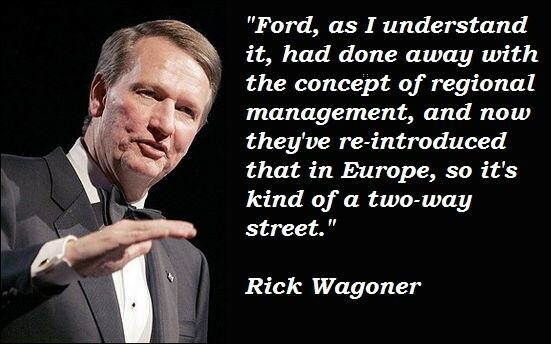 Ford, as I understand it, had done away with the concept of regional management, and now they've re-introduced that in Europe, so it's kind of a two-way street. I remember very clearly at the first budget review having a pretty direct conversation with the head of manufacturing... We began to get huge improvements in productivity and responsiveness. I got a chance to see that firsthand. I'm like Sergeant Schultz, I know nothing. We are trying to share ideas around the world. We don't just come up with a great idea in Brazil and ignore it in the rest of the world. On Friday I was in Washington for a meeting with Administration officials. 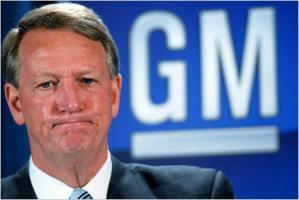 In the course of that meeting, they requested that I 'step aside' as CEO of GM, and so I have. This is a game that's going to play as long as you're playing it. It's never going to end. It'll go until I retire, and when the next person has the job, they'll be on it too.